The example shows how to create your own custom zooming effect with QRubberBand by using a mouse and how to use touch gestures for paning and zooming. Let's first create a line series with some example data. Then we implement a custom logic for mouse and key events. For example pressing the '+' key will zoom in and pressing the '-' key will zoom out. 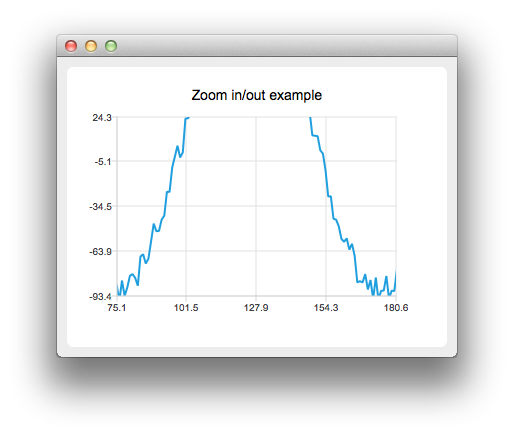 Note that you will need to call grabGesture() to both QMainWindow and QChart.